Fleetwood Mac will become the first band honored as MusiCares Person Of The Year at the music industry charity’s January 26 event at Radio City Music Hall in New York. The group will be celebrated for their extraordinary creative accomplishments and significant charitable work by MusiCares, who provides a safety net and assistance for music people in times of financial, medical, and personal need. The 2018 MusiCares Person of the Year tribute to Fleetwood Mac will feature a star-studded concert, award presentation and live auction, followed by an After-Party with a silent auction offering an exclusive and unparalleled selection of luxury items, VIP experiences, and one-of-a-kind celebrity memorabilia for bidding guests. John Legend, Lorde, Keith Urban, Haim, One Republic and Harry Styles are among the first group of performers announced for the 28th annual event, with more guests to be revealed; Fleetwood Mac will close the evening with a live set. Past recipients have included Neil Young, Stevie Wonder, Bruce Springsteen, Paul McCartney, Bob Dylan and Tom Petty. 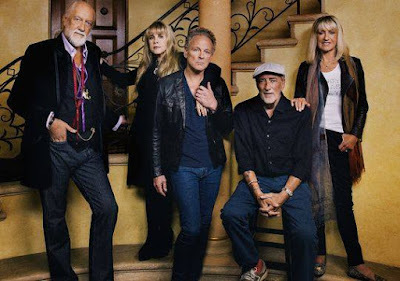 Inducted into the Rock And Roll Hall Of Fame in 1998, Fleetwood Mac have sold more than 100 million albums worldwide.